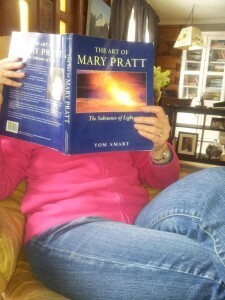 I’ve just re-read a book ( same title as this post) by author Tom Smart. It’s been on my shelf for years now and it’s a favourite of mine for many reasons. Of course, the paintings of Mary Pratt are technically brilliant. In addition, she’s Canadian and a female artist and I have a special spot in my heart for this unheralded and under appreciated category of fine artist. Don’t get me started….But what brings me back again and again to her work is the subject matter and her response to it with paint. She had been trained to be an artist but found herself married to another artist (Christopher Pratt). His career took priority and with a household and children to care for, she found little time or inspiration to paint. Until, one day when the quality of light filling the room where she was doing her household chores, caused her to stop and get her easel. 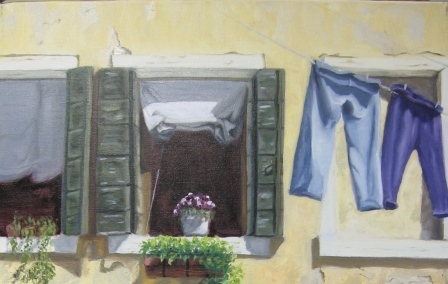 She developed a new technique with which to capture these moments and became a New Realist painter. I’m not going to ramble about styles or genres of work but I think she says it best herself. “The things that turn me on to painting are the things I really like,” she allowed. “Seeing the groceries come in, for instance. Or cooking, I’m getting supper, and suddenly I look at the cod fillets spread out on the tinfoil and I think, ‘That’s gorgeous, that’s absolutely beautiful.” Oh Mary, I know just what you mean. The McMichael Gallery is having a show of her work in Kleinburg Ontario until April 27th of this year. Click on the link if you’d like to see what all the fuss is about…..